Pascal Denault is an ordained minister of a Reformed Baptist church in Quebec and is the author of The Distinctiveness of Baptist Covenant Theology. In four video lectures below, Pascal discusses the covenant theology of the Second London Baptist Confession of 1689. First, he examines the "covenant of works" as it is formulated in the Westminster Confession, Savoy Declaration, and Second London Baptist Confession in lecture one. Next, in lecture two, he summarizes the "covenant of grace" as it has been traditionally formulated among Reformed and Paedobaptist theologians. In the third lecture, Pascal highlights the unique contribution offered by the Particular Baptists in the 2LBCF to a theology of the covenant of grace. Then he summarizes his study on the covenant theology of the 2LBCF and highlights the practical ramifications in lecture four. Finally, a Q&A session featuring Bob Gonzales and Pascal Denault deals with questions related to confessions of faith and covenant theology. Enjoy! The Covenant Theology of the 2LBCF, Part 1 - Pascal Denault from Reformed Baptist Seminary on Vimeo. The Covenant Theology of the 2LBCF, Part 2 - Pascal Denault from Reformed Baptist Seminary on Vimeo. The Covenant Theology of the 2LBCF, Part 3 - Pascal Denault from Reformed Baptist Seminary on Vimeo. The Covenant Theology of the 2LBCF, Part 4 - Pascal Denault from Reformed Baptist Seminary on Vimeo. 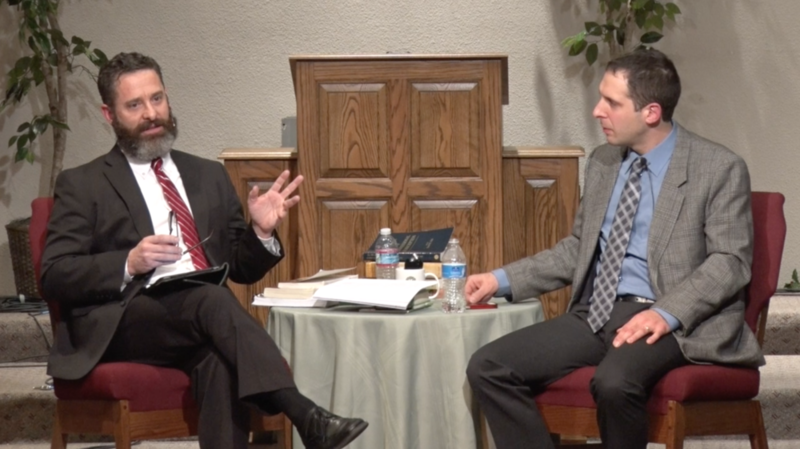 Question & Answer Session: Confessions of Faith and Covenant Theology from Reformed Baptist Seminary on Vimeo.